Madie Loebig is starting out her sophomore year as well as her first year on the Main Four. She will be beginning as a staff writer and is more than thrilled to have this experience. She loves to travel, hang out with friends, and play with her dog. 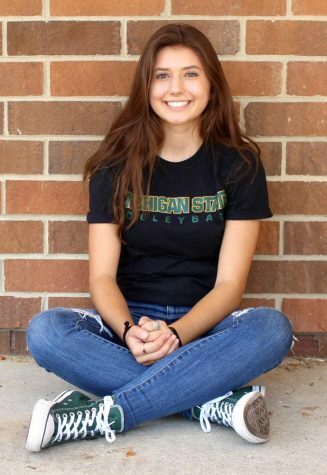 She spends her time playing volleyball, this being her second year playing volleyball for Howell High School. She also enjoys snowboarding and hopes to continue doing it while she’s still able. Madie adores dogs, dolphins, and sunflowers. Her favorite holiday is christmas because she loves looking at the different ways people set up their christmas lights. She claims Tangled will always be the most amazing Disney movie despite contrary beliefs with Zootopia at a close second. Lastly, she will always have time to laugh and have fun, and cannot wait to start off the year!